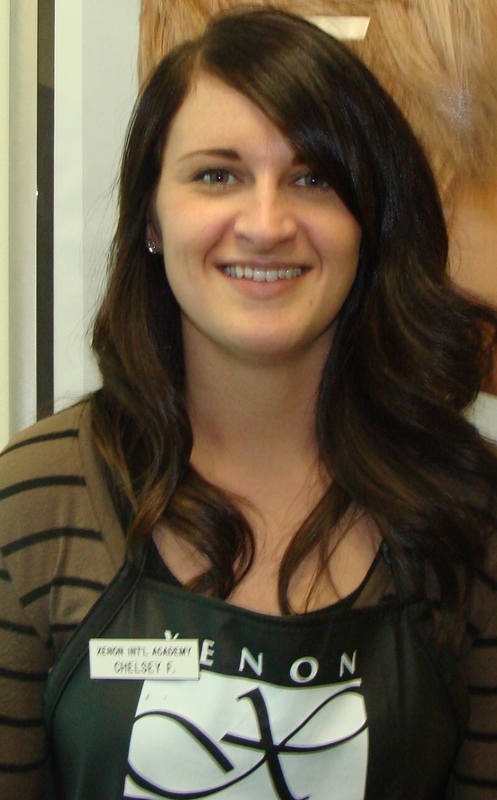 My name is Chelsey and I began at Xenon in June of 2012. I have already learned so much in my time here. I enjoy men’s cuts, even though I was nervous to do them at first, as well as women’s cuts & colors. My favorite event so far was a fun Thanksgiving retail contest where all the students decorated a large turkey with feathers they earned one by one for every item they sold. I won by one feather! My prize included a color scale and a mini-crimper! This is one of many retail contests they have all the time. I believe going to Xenon will give me a distinct advantage in the beauty industry and I’m enjoying it so much!